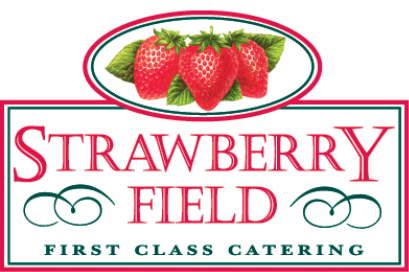 At Strawberry Fields, we like to feel we offer menus for all occasions in any Season. Whether you are looking for a Dinner Party for 6 or Corporate catering for 500 we are able to offer tailored catering to suit style and budget. The menus you will find here on our website are designed for the outside catering market and we will be happy to send you a full quotation for your proposed event. Please use our online Contact Form to provide us with your bespoke requirements and one of our event team will be in contact with with pricing and details of our services. Clients looking for event catering at The Kingscote Barn or Brunel's Old Station should also complete our online Contact Form and we will send you through details of our services at these venues. If you are looking for catering details for Wick Farm Bath then please use the button below to take you to our venue page giving details of how to find all of our catering information for each of these venue. Strawberry Fields are proud to use local suppliers who source where possible products from within a 50 mile radius of Keynsham. Our menus are just a guide to the cuisine we are able to produce and we would be happy to discuss your individual requirements.